This next feature came from Scott who left a new comment on the MId Week Match-Up: Best Junker For $1k feature and writes: I was ready to give up till I found this ad: Find this 2004 Saab 9-3 Arc Convertible POS SAAB offerd for $1,000 near Boston, MA. 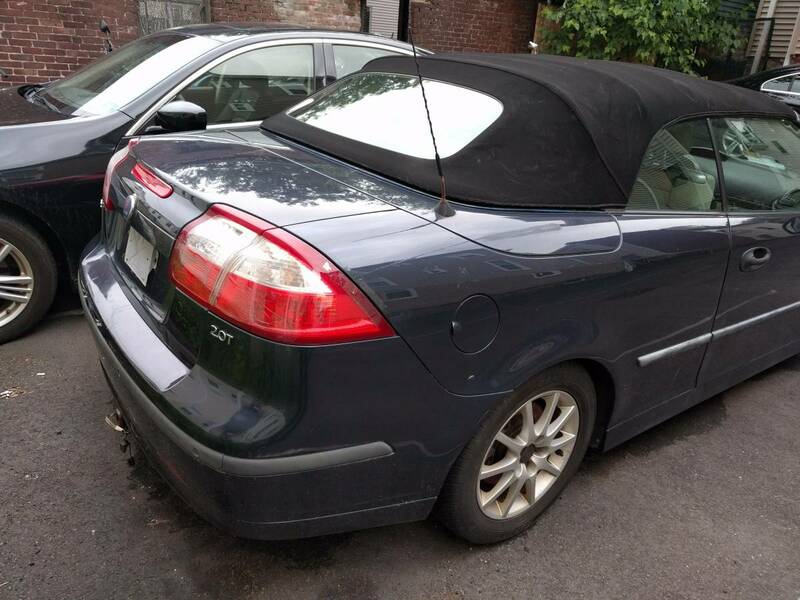 I have a 2004 Saab 9-3 Convertible in rough shape. It doesn't run anymore due to an issue with recognizing the key. I bought a new CIM (Center Integration Module,) ISM (Ignition Switch Module,) I haven't replaced the ECU. I have new unprogrammed keys and a new SCL (Steering Column Lock,) as well as a new CIM. EDIT: A guy saw this post and texted me, he's adamant the issue is actually the fuse box module, which I definitely believe, makes sense for a lot of other electrical f*ckery. That's a $250 dollar part and still requires programming. This issue with this car is that when you plug the key into the ignition it won't recognize it as valid despite being a valid key. This is a common issue with these cars but not to this extent, I'm now intimately familiar with every component in this stupid system. I also have a Tech 2 I'm willing to throw in for a little extra. Hell that thing is probably worth more than the car. I'm totally willing to work with you on this thing too. If you want to buy and ECU I'll give the immobilizer code and we can work on programming it together to see if we can get the car to drive away. Other things: Blue, scratched on the right rear quarter panel. Soft top convertible, both rear main lift cylinders replaced after puking. Missing a little grille on the front. The trunk is in shambles due to me constantly f***ing with the trim back there. Needs new sway bar bushings, I have them and can help you put them in if you want. I also have a new wheel bearing. It doesn't need one, but you can have it if it ever does. Truth be told I now hate this car. I'll do whatever to takes to get this out of my driveway. Make me an offer, the price is NOT firm. 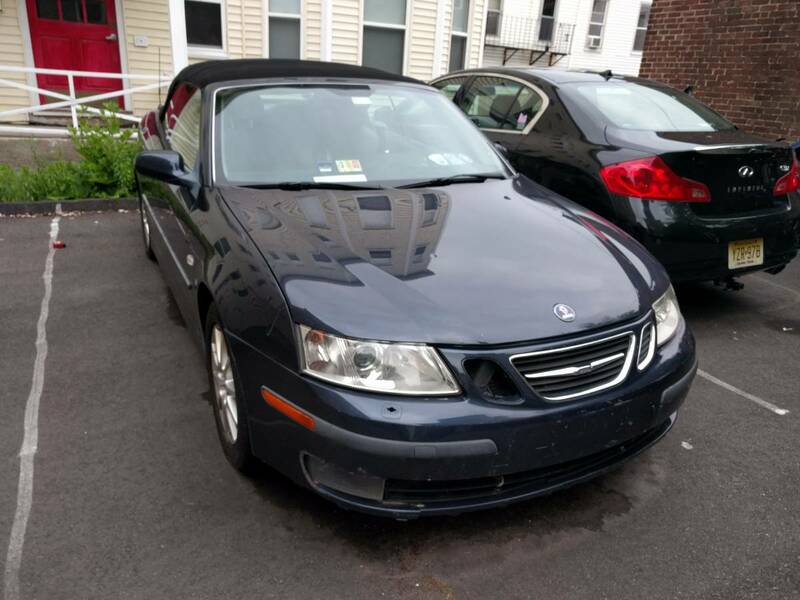 This car made me a Saab expert, something I never wanted to be. Its got a clean title. Talk about a Saab story. This car should have been used as Casey Affleck's car in Manchester by the Sea. Instead of flipping out in a bar Casey could have been standing in his driveway clenching the unprogrammed keys in his hands with his eyes closed mumbling a prayer when a neighbour asks "get your car fixed yet buddy?" And Casey would start punching the guy while yelling "Center Integration Module!!" Are these cars ever swiped safest car ever from theft ! I'm pretty sure I could leave the key in the ignition without mine being stolen. No one would figure out how to jiggle the transmission just so even if they wanted to steal it.